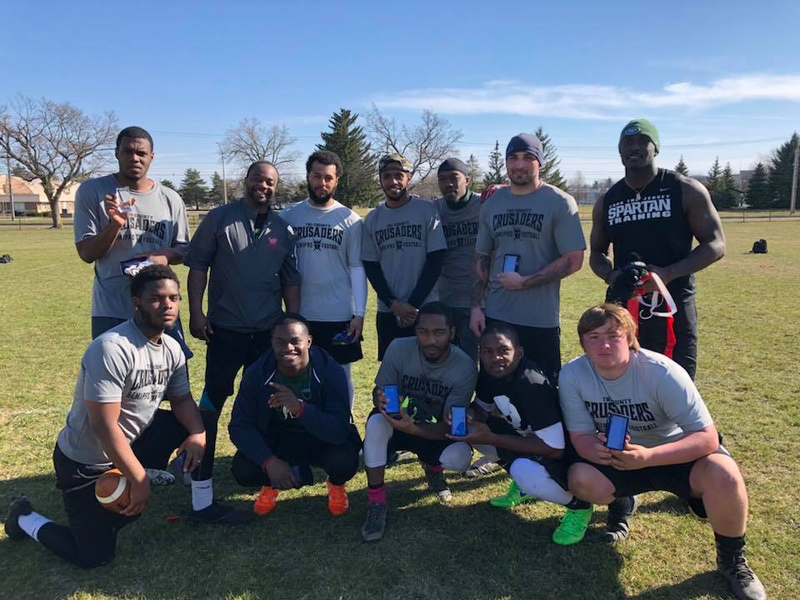 Battlefield Brawl is a flag football tournament with “X-Factor” athletes and local celebrities that raises money and awareness for New World Flood programs as well as support for local non-profit organizations impacting our community in a positive way. It has been held each year the Sunday after the annual Michigan State University football team Green and White game. It’s not your average tournament as it stars celebrities, professional athletes and past Michigan State University football and basketball players. These celebrity athletes are drafted to the teams that raise the most funds for the cause. Local community teams draft an X-factor who play on their team. Each year, New World Flood chooses a local non-profit organization that is serving the community to improve the quality of life for families and individuals living in our community. In 2018, New World Flood partnered with The Davies Project for Mid-Michigan Children to support their mission to provide rides to children needing to go to a doctors appointment. THANK YOU TO ALL OUR VOLUNTEERS, PARTICIPANTS AND SUPPORTERS IN MAKING THE 2018 BATTLEFIELD BRAWL 9 A SUCCESS! !